It’s time again for Black Gold’s BITS OF GOLD contest. 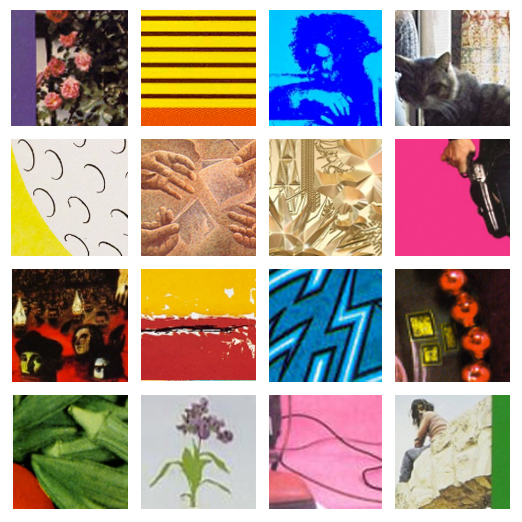 The rules are as follows: Pictured are sixteen (16) close ups from popular LP album covers. Name as many as you can, listing from L to R, top to bottom. Any submission with at least one correct answer gets your name in the drawing x1, anyone who can get all 16 correct gets their name in the drawing x5. One entry per person please. Drawing will be held Thursday, Dec. 15th. Submit your answers by emailing info@blackgoldbrooklyn.com by noon 12/15/16. Prizes as follows: 1st place (x1) = $100 gift certificate good for anything at our Black Gold locations. 2nd place (x1) $50 gift certificate good for anything at our Black Gold locations. 3rd place (x1) Your choice of a Black Gold T-shirt or one pound of our coffee. No purchase necessary and we can ship your prizes to you if/when you win! Thanks and good luck. VIDEO:Dorian G Stone on Vimeo. Are you or your production company interested in filming on location at Black Gold (461 Court Street) ? 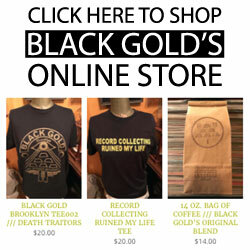 Email us at Info@blackgoldbrooklyn.com for more information, availability and rates. Are you or your production company interested in renting any of our obscurities or taxidermy for photo shoots / film / etc.? Email us at Info@blackgoldbrooklyn.com for more information, availability and rates. © Copyright 2012 Black Gold Brooklyn Inc.